The Future of Europe is in the spotlight. History-shaping events over the last 12 months, including the UK’s vote to leave the EU, constitutional crises in some member states, the emboldening of far-right political parties, the failure to humanely welcome refugees, and failed austerity economics, along with the instability arising from Donald Trump’s election in the US, have brought Europe to a crossroads. In April 2017 European Commission President Jean-Claude Juncker presented a White Paper on the Future of Europe, including 5 possible scenarios for discussion at European and Member State levels. You can read the European Commission’s White Paper on the Future of Europe here. In response, SDGWatch Europe in collaboration with Friends of the Earth Europe has faciliated with around 100 civil society organisations the development of an alternative ‘6th Scenario’. In this ‘6th Scenario’ these organisations present their aims for a Sustainable and Fair Europe in which care for people and planet are key. They intend to put this ‘6th Scenario’ forward as an alternative and to demand that it be fully considered in national and European discussions on the Future of Europe. You can read the civil society 6th Scenario for a Sustainable Europe for its Citizens here. 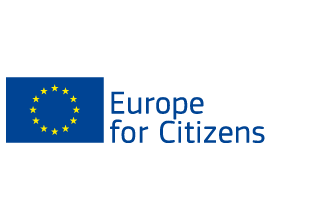 The European Civic Forum and many more civil society organisations have already signed the letter. You are now invited to endorse this scenario, so decision makers are aware that another Europe is necessary – and possible! Please add your organisation’s signature using the form below. Signe the ECI – Housing for All !